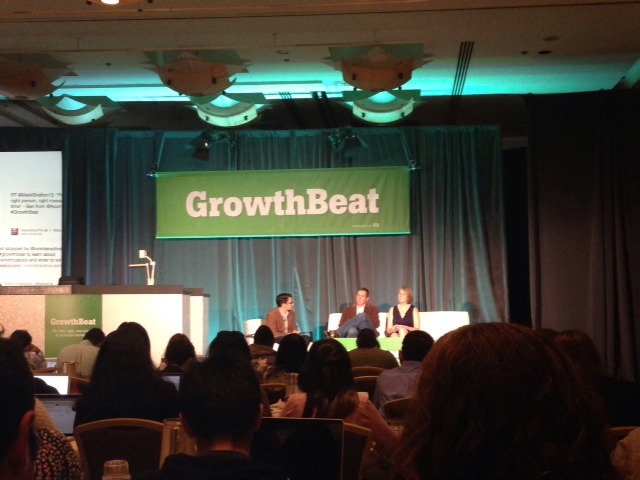 GrowthBeat brought together some excellent speakers and panels — great case studies of how companies that have been willing to push the boundaries, iterate quickly, and leverage new tools are learning and finding success. But a few themes resonated for me at the higher level–themes that spoke to the future of marketing, the future of organizations, and the role of the voice of the customer to drive growth. 1. Think about customer journey management, not just campaign management. First let me say I’ve always liked the word journey. It takes you to a ‘real’ place, away from a spreadsheet. It’s what we all desire the numbers and the touch points we see everyday to reveal for us – a path forward with our customer. CPG marketers have been thinking about this ‘journey’ forever. The road to loyalty is paved along the purchase cycle–creating desire, helping shape decisions at the point of decide, and delivering a delightful product that brings the consumer back again. They talk about the apertures where the consumer is most receptive to a message, and adapting with her as her needs evolve. They play the long game, making sure that all these messages, all this data about the consumer are in place to achieve something bigger – stronger brand equity and loyalty over time. This approach is absolutely relevant in B2B, and we actually have gotten to the point where we can do this well, using real time analytics, automation, personalization, and listening tools. We just have to make sure that these powerful tools still drive towards larger end goals with the customer. What does this mean for customer listening? 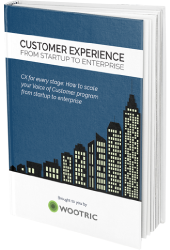 Engaging with customers in context, on their journey. This is what we are driving for at Wootric. The end of Net Promoter “campaigns” in favor of a Net Promoter System where listening and engaging with customers is ongoing. Reaching your users at different stages of their lifecycle, and driving loyalty by paying attention to how their needs (and love for you) are changing so you can continue to nurture and grow the relationship. It’s powerful learning. It can make you overhaul your product. It can make you change your sales approach. It can help that customer feel human and heard, and choose to stay with you. We’re all on the journey. 2) Connect the dots around the customer. Ok, so it seems like a no brainer takeaway. Don’t we always want to connect the dots? Don’t we try and build our organizations to support that end goal? Perhaps we do on some level, but that doesn’t mean it’s easy or successful. Eventbrite spoke at the conference about their successes aligning marketing and product around a key customer insight to drive new growth. It sounds simple, but this is something that many companies might struggle to achieve. In my CPG marketing days, we had a connector function – brand. Brand was where the voice of the customer and related insights converged to inform product, marketing, distribution, and sales decisions. Analytics tools were centralized under a team that spanned functions. But in tech, I see how those dots don’t always connect. Everyone is gathering data on the customer, and the information doesn’t always travel or centralize. And what happens? When it comes time to bring it together we spend too much time figuring out the “plumbing” and not enough time acting on the insights. [Note: Thanks to GrowthBeat speaker Jennifer Zeszut for the plumbing analogy – reminds me of my days working on the Liquid-Plumr brand]. I think it means that even more companies will achieve growth by rallying around a few lead customer-focused metrics and insights. 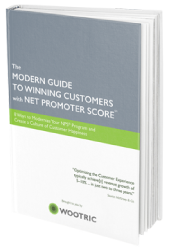 I see it with Net Promoter Score (NPS) specifically — how this one metric resonates with Customer Success, Marketing, Product, User Analytics, and the C-Suite. Today it’s often just one of these functions that is the true champion of NPS. 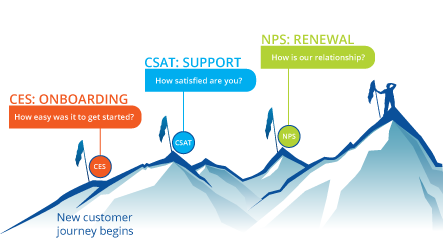 But the most successful organizations elevate NPS to a core group of corporate-wide metrics, and it creates incredible customer focus. It connects the dots. Is NPS on your company’s dashboard or just your functional dashboard? Beyond the aggregate score, do the themes and user feedback tie back to the broader business for action? Does NPS data for a user show up in your marketing campaign platform and your Customer Success platform? The power of the business tools out there today is their ability to integrate, and therefore help us integrate — to be able to speak the same language of metrics aligned with the voice of the customer. This one is fun. It’s a mindset shift for many of us who mostly think about disruption in only the biggest sense — industry disruption like Uber disrupting transportation or AirBnB disrupting hospitality. 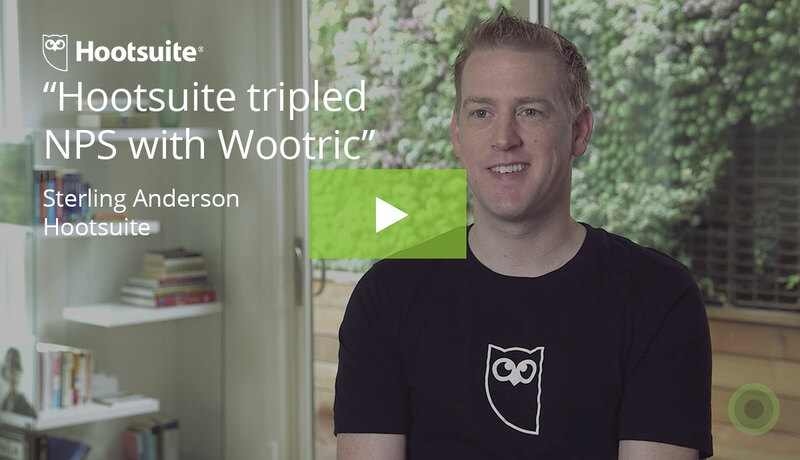 What about in the context of your work…literally trying to shake up your own game? What could you do to turn your approach on its head? Pretend to be your own consumer for a day. Take yourself off the path for a second and think differently. It means that companies should be open to feedback that inspires or even requires big change. Your customers may be telling you that it’s time to stir the pot, and they may even tell you how. 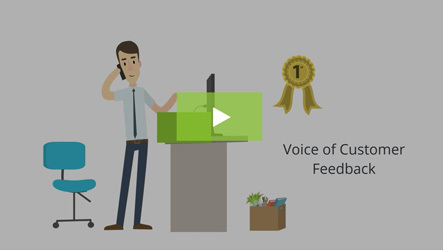 Go back and read some open ended feedback in your NPS or other customer surveys. Hear it, reflect on it, A/B test it. And don’t be afraid to address it head on.